Just about the only trans-dermal 7-keto out there. 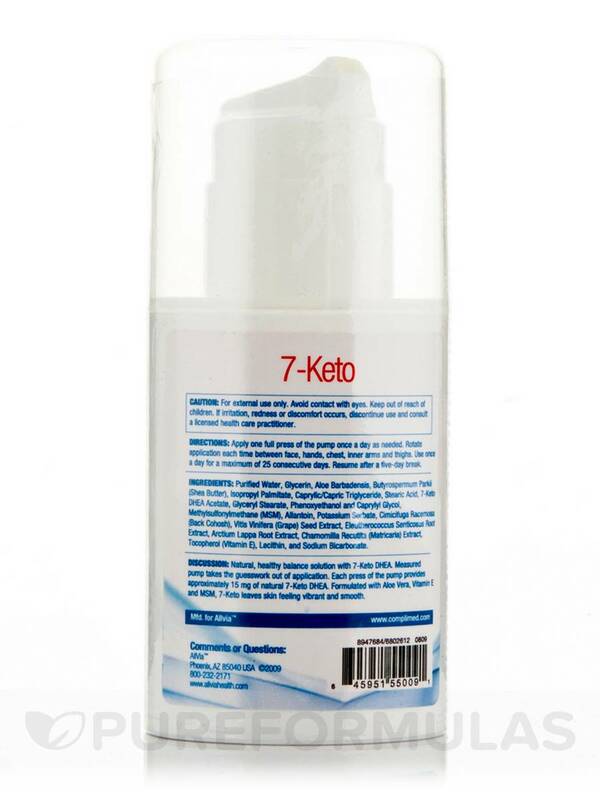 Natural‚ healthy balance solution with 7-Keto DHEA. Measured-dose pump takes the guesswork out of application. Each press of the pump provides approximately 15mg of natural 7-Keto DHEA. Formulated with Aloe Vera‚ Vitamin E and MSM‚ 7-Keto leaves skin feeling vibrant. Free of synthetics including Parabens. Non-greasy and formulated for excellent absorption. DIRECTIONS: Apply one full press of the pump once a day as needed. Rotate application each time between face‚ hands‚ chest‚ inner arms and thighs. Use once a day for a maximum of 25 consecutive days. Resume after a five-day break. For external use only. Avoid contact with eyes. Keep out of reach of children. If irritation‚ redness or discomfort occurs‚ discontinue use and consult a licensed health care practitioner. Nice smell mild and clean....absorbs well. 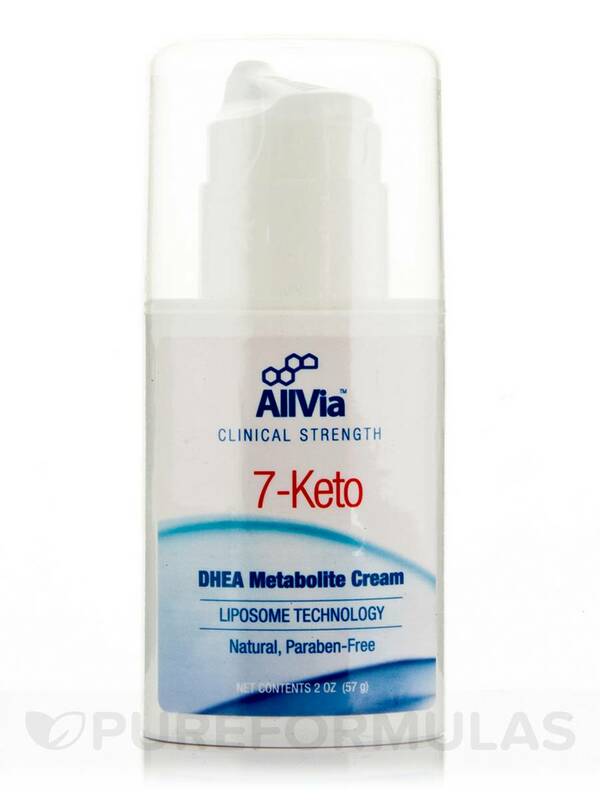 Ive used oral 7 keto before (life extension) and was trying to give my liver a break by doing the cream. It doesnt seem to be as effective as the oral which gave me lots of positive energy but to be fair I was taking 200 mg a day of the oral. If you are looking for a milder 7 keto version this is a nice way to go. Mild pleasant smell absorbs well. How much of product of the cream to get 200 mg daily? Each pump contains 15mg so that will equal about 13 and a half pumps.